Who the he’ll hell doesn’t love autocorrect! This software feature delivers us from the scutwork—from having to type all those pesky little words like ‘the’, ‘a’, ‘of’ or ‘or’. But it can also put a spanner in the works. Autocorrect had replaced ‘home’ with ‘good’. She must have decided he was good/home in bed because they married a year later. Could it be there’s another marriage in the offing: A merger between autocorrect and politically correct? ‘Autopoliticallycorrect’ may be about to become the new black. In which case, this particular idiom’s days are numbered. Seems that ‘black’ is being outlawed. Some kindergartens are taking what they call an ‘equal opportunities approach’ and have retitled the time-honoured nursery rhyme ‘Baa Baa Black Sheep’. It’s now ‘Baa Baa Rainbow Sheep’. Political correctionistas have decided that the two-hundred-year-old title has racial connotations. Firstly, of the seven colours in the many rainbows I’ve witnessed, black is not one of them. Secondly, black, or call it darkness, is a natural part of the psyche and has a right to take its place in our consciousness. Ideologues have been using all manner of excuses to scrub it from both for eons. In this recent example, the implication is that black is a dirty word. That smacks of racism. The other thing. It took me a long time to accept that I was a black sheep. Now it feels like that’s been taken away from me. I feel kind of displaced. And then there’s the ‘neutering’. Universities across Australia are marking students down for using ‘gendered language’. Mankind, workmanship, sportsmanship, chairman are no-no’s because they’re not inclusive. Students must use (man-made) gender-neutral language instead. Oh man, come on! Are we really making progress by moving towards a nanny state (of affairs)? In light of this, I imagine Siri would procreate, escape the confines of our iPhones and start to inhabit buses and trains, boats and planes. Waiting rooms and restrooms and restaurants. I imagine her minions would eavesdrop on everyone’s conversations and correct us via smart speaker when we flub. The return of 19th-century public shaming. 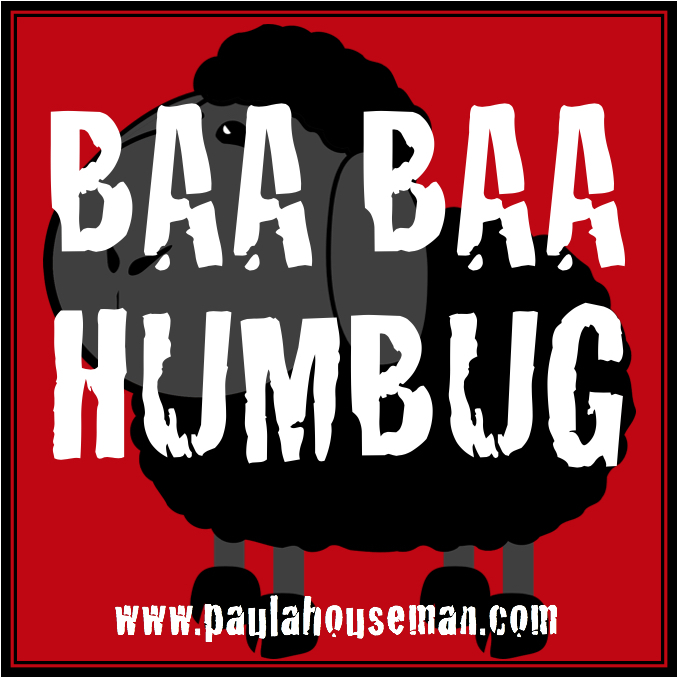 In this brave new world, I would be Paula Houseperson, and anyone with the surname Blackman would be screwed. So, autopoliticallycorrect, should you happen to take effect, thanks but no thanks. I’ll be blacklisting you.